Drake, Popcaan, and Fanny Neguesha all star in the film. 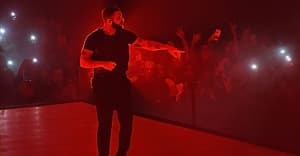 On late Sunday night, Drake released Please Forgive Me, a 30-minute short film filled with explosions and music from his album Views. The story of the film is loosely based on 1993's Indecent Proposal and there are appearances from Popcaan and Kyla Reid. The credits for the film reveal that director Anthony Mandler and producer Kim Jackson were heavily involved in the making of Please Forgive Me. Mandler and Jackson also worked on a few Apple Music ads together, including the one of Taylor Swift falling on the treadmill. Larry Jackson, Apple Music’s head of content, produced and wrote the film. As previously reported, the film was shot in Johannesburg and Namibia.